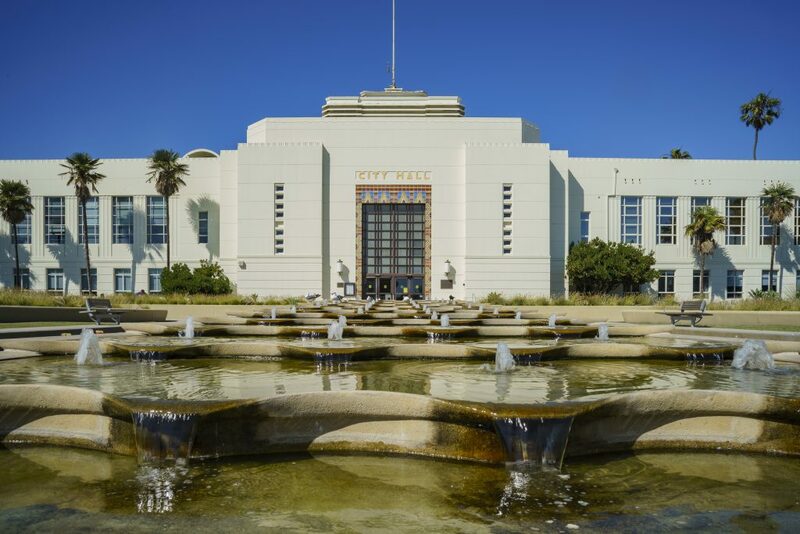 We recently reported on Local 11’s behind-the-scenes scheme to use Santa Monica’s Commission on the Status of Women to advance a legislative package favored by the union. 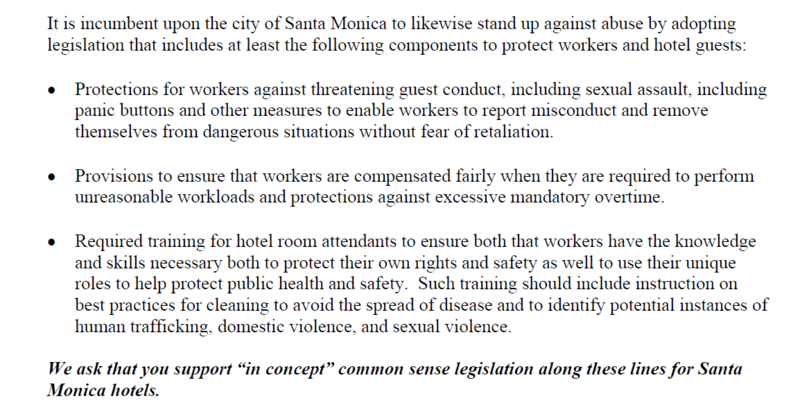 So far, the union’s plan is working: On Tuesday, October 23rd, the Santa Monica City Council will take up a request by the Commission “regarding protections from hotel workers.” But the fix was in from the start: The Commission’s recommendations are copied-and-pasted from an earlier demand memo prepared by the union. The Commission even adopts the union’s suggested “common sense” phrase to describe the legislation. 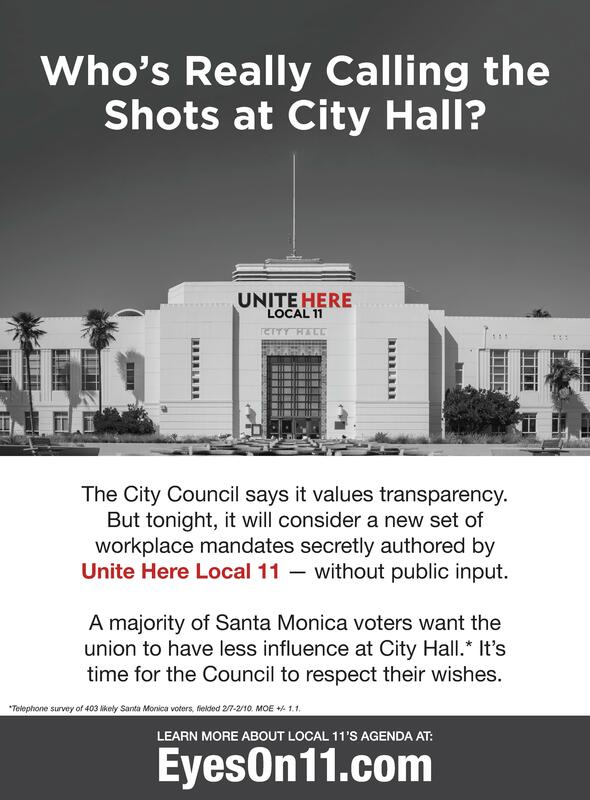 Our ad today points out that a majority of Santa Monica voters want Local 11 to have less influence at City Hall. Santa Monica has plenty of problems right now: crime, homelessness, and the apparent mishandling of “alleged child molestation” by a city employee. Perhaps the city should deal with this growing list of issues first, before looking for other union-inspired “problems” to solve.